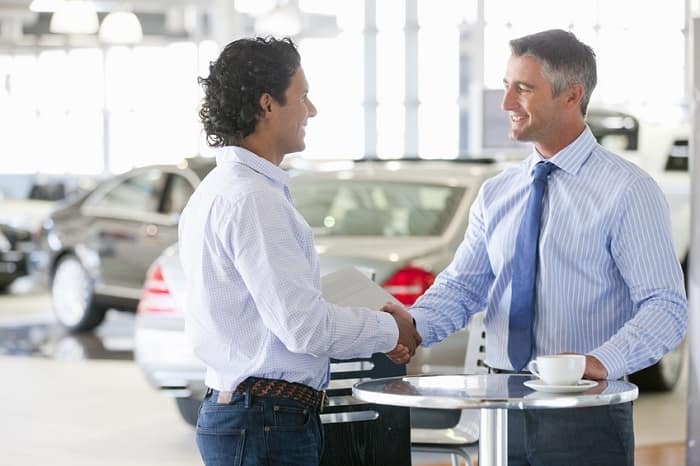 One thing every driver wants from a car dealership is excellence in service and transparency in pricing. We’re proud to offer both at Glenbrook Dodge Chrysler Jeep®, serving drivers in Ft. Wayne, IN. Our experienced team is here to help you find the right vehicle for your lifestyle and your budget. For years, we’ve been a local favorite and are pleased to have put so many models out on the highways of Indiana. But we don’t rest on our accomplishments. We are always striving to provide our customers the best possible experience. In fact, you can see exactly what Glenbrook customers have to say about their experience on Glenbrook’s testimonials page! Our knowledgeable staff can recommend certain models or trim packages based on the items on your must-have list. Think about what you need in a new vehicle. Cargo room? Comfort? Technology? Consult with an expert from our team. From performance to exterior modifications, let us help you find your perfect Jeep SUV or Dodge car in Fort Wayne, IN from our extensive inventory of new and pre-owned cars for sale. Whether you’re interested in the Jeep Grand Cherokee for its off-road prowess, or the Chrysler Pacifica for its family-friendly features, you’re sure to find the best-suited vehicle at our Dodge dealership near Auburn. Even if you’re not in the market for a new model, we have a large selection of used cars for sale. Some are even priced under $10,000 for those who may be on a stricter budget. Along with our stock of trucks, SUVs, and cars near New Haven, we host a state-of-the-art service center. From oil changes and tire rotations to repairs, we have the tools and knowledge to service and restore your vehicle to like-new condition. We only employ certified technicians as well, ensuring that your vehicle is always in good hands. Glenbrook Dodge Chrysler Jeep is one of Indiana’s top Jeep dealers. We invite you to our showroom to see all our new and pre-owned models. After the purchase, we’re here to help you keep your vehicle in tip-top shape with our Jeep service center and parts department. As our local Fort Wayne, IN Jeep dealership, we’re here to help you find the right vehicle for your lifestyle. You can also search our complete inventory online before you stop by and see us. For more information, feel free to contact us at 833-673-3182.